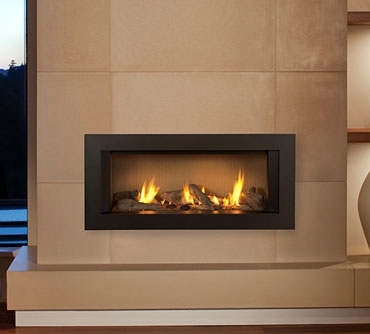 L1 Series with Long Beach Fire log set and black fluted liner. Long Beach Fire log set and fluted sand liner. Long Beach Fire log set, black fluted liner, and optional safety screen. 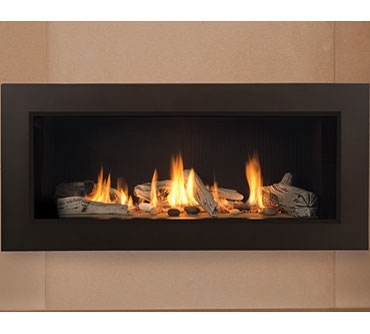 Murano Glass fire rocks, enamel black liner, and optional 1" finishing trim. 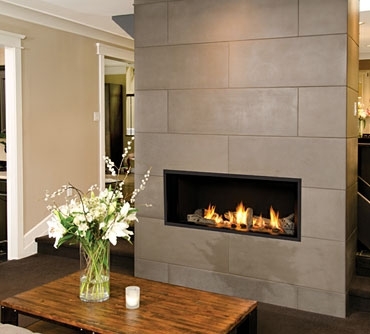 The L1 Linear radiant heating direct vent gas fireplace from Valor will deliver warmth and comfort in an efficient manner to you and your loved ones. 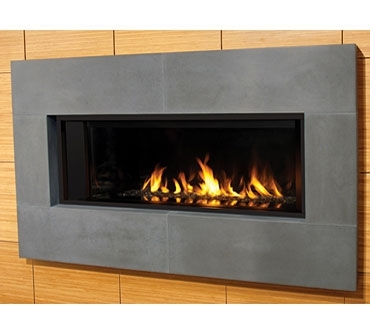 Your L1 Linear is a rear direct vent fireplace, which means that it can be vented out most above grade exterior walls with no visible vent pipe. It can heat without a fan and does not require electricity to heat your room - it can even operate durin ga power outage! 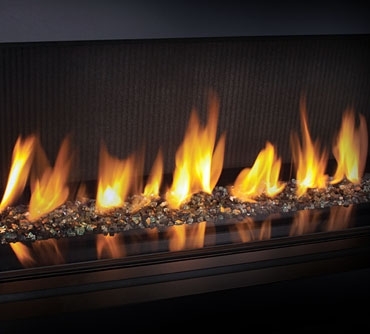 You may choose either the Long Beach Fire log set (pictured above) or the Murano Glass fire rocks (pictured in our Options section) to customize the look and feel of your L1 Linear fireplace. You may also choose between three decorative surround options as well as our vast selection of optional mantels to further accent the beauty of your L1 Linear and match the look and feel of your room. Use the form below to request more information on L1 Series, and a Kastle sales rep will get back to you as soon as possible. Fields in red are required.